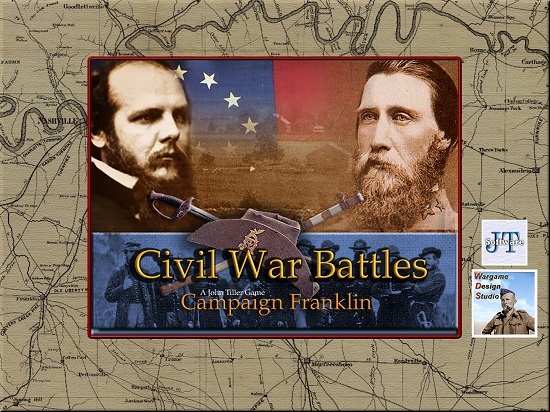 Campaign Franklin depicts General Hood's desperate attempt to reach the Ohio River in Tennessee and thwart General Sherman's advance in Georgia. 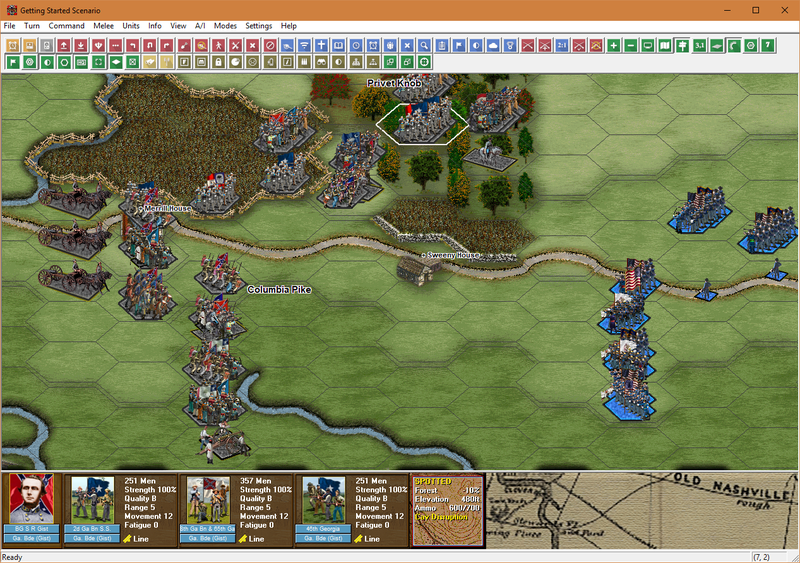 But stubborn Union defenses along with his own mistakes will foil his plans. 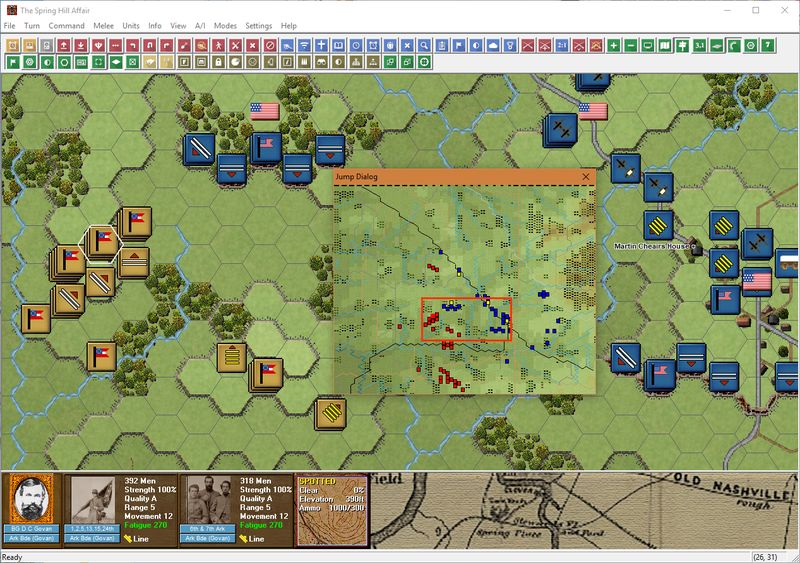 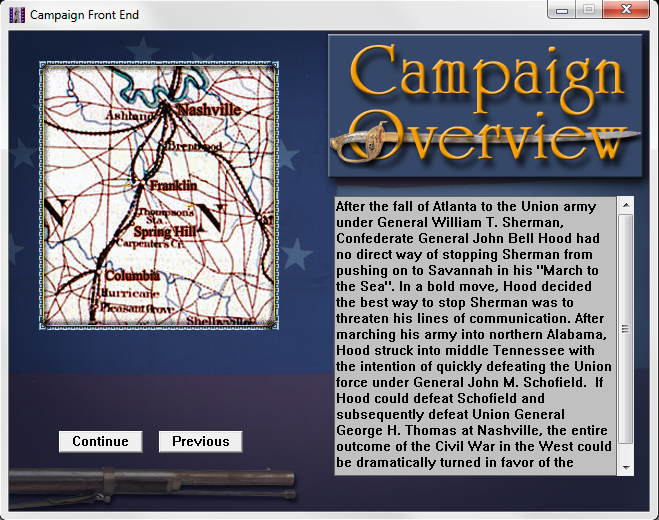 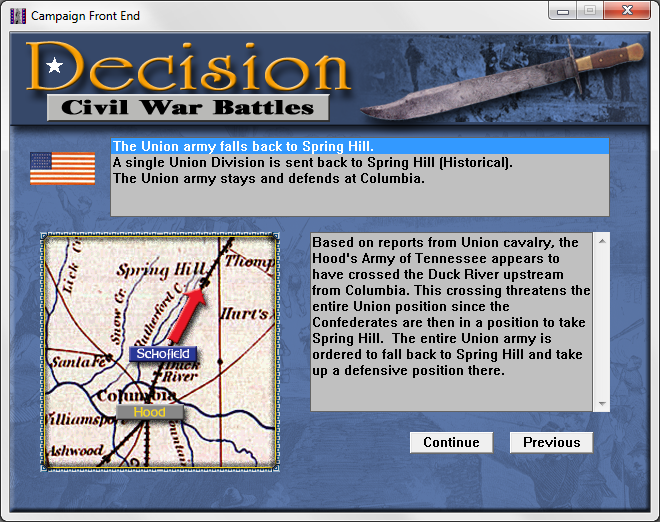 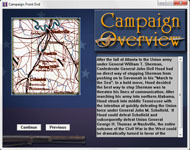 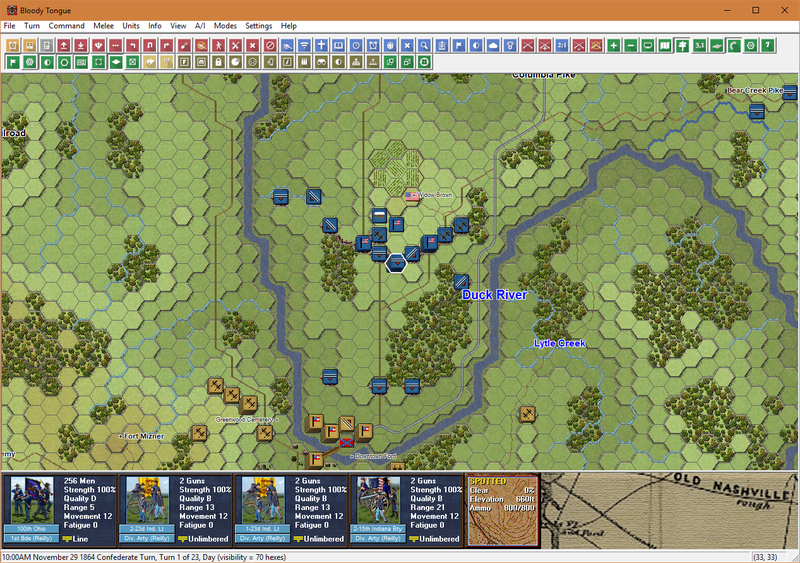 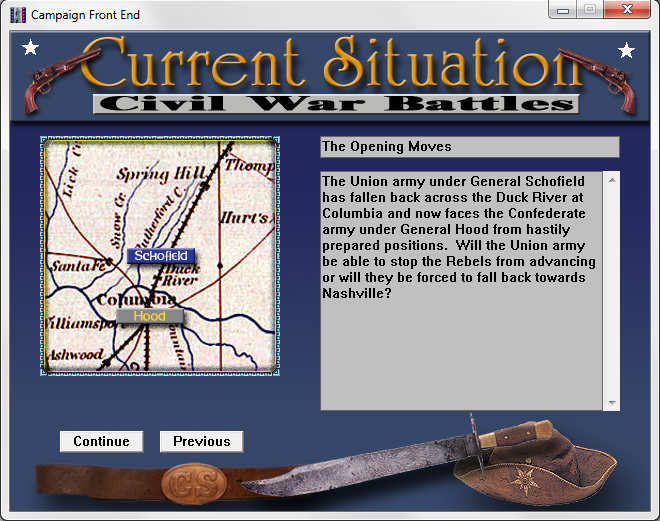 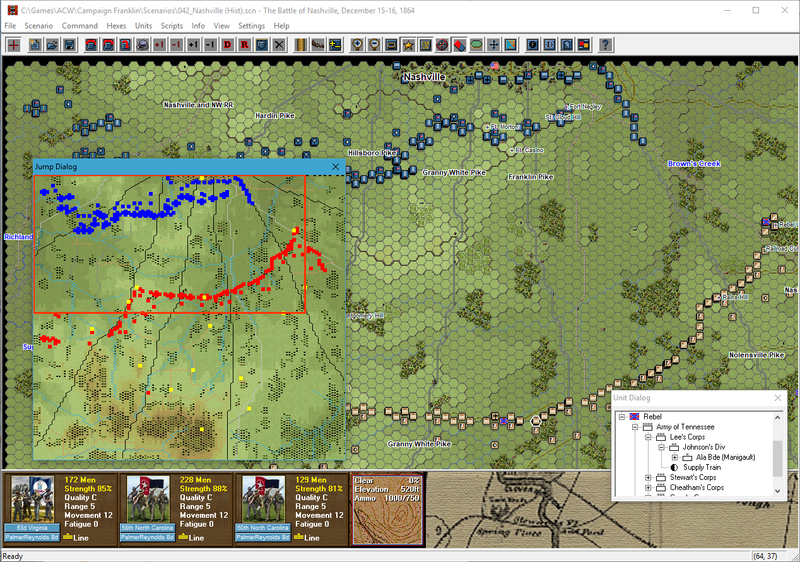 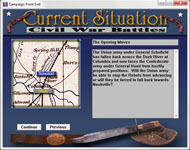 64 scenarios, including the historical battles of Spring Hill, Columbia, Franklin, and Overall's Creek. 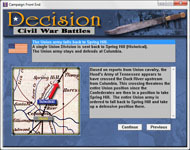 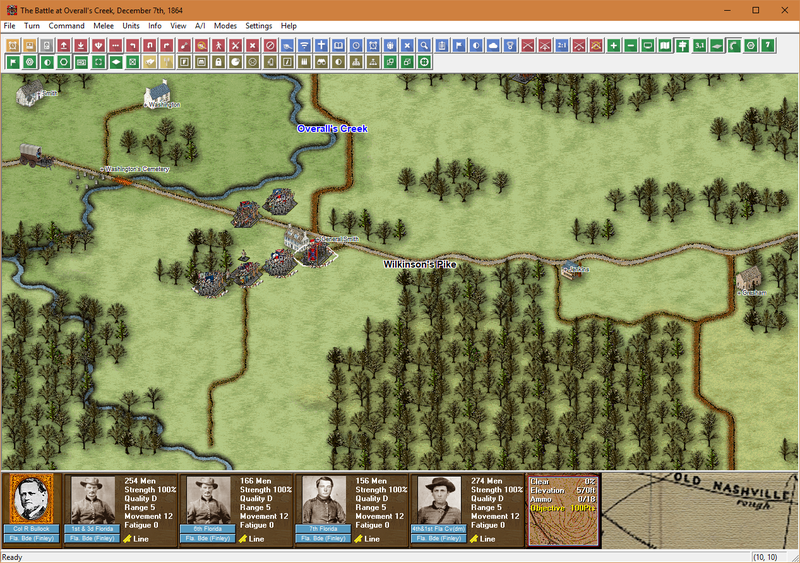 Many "what-if" variants of the historical battles allow the players to explore the various possibilities of the campaign. 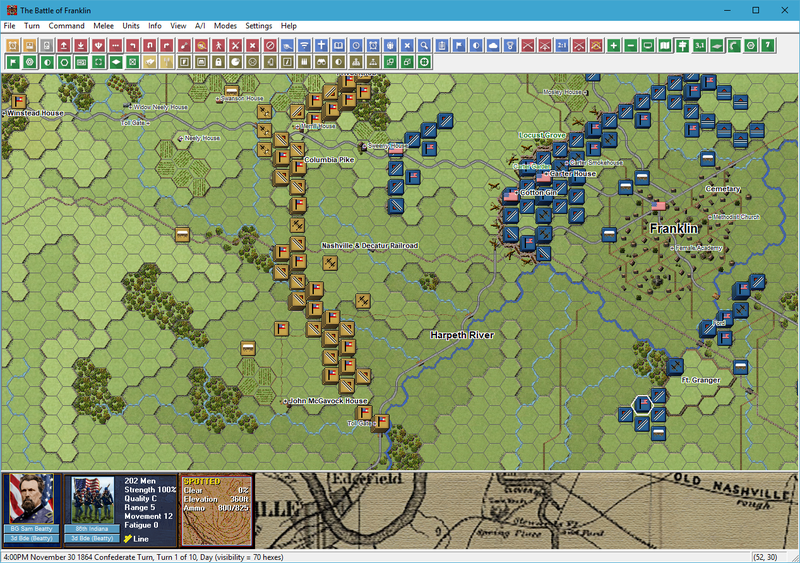 Although every scenario may be played as a stand-alone, the bulk of the scenarios are integrated into the operational/tactical campaign, providing a high degree of replay value.